From July 21 to July 26, about 200 Rotaractors from 49 countries gathered in Washington, D.C. to attend the RYLA North America Conference. Five members from our District got the opportunity to meet inspiring people, exchange ideas, and build new friendships throughout the week. 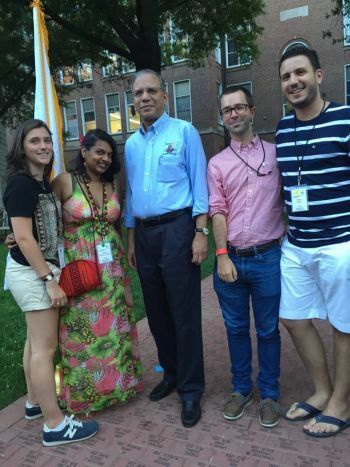 Photo shows Rotaractors meeting President Ravi at Carribean Carnival. Click HERE to view a photo album of of their time in Washington, D.C.